I have used this backpack as my everyday work and travel backpack for over 1.5 years, and you can pry this off my cold, dead shoulders because I won’t give it up a day sooner. It has a separate zipper opening for laptops or tablets, and a variety of pockets and compartments to keep everything handy. 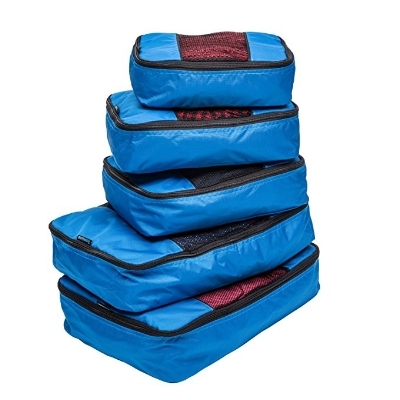 Okay, packing cubes aren’t exactly exciting, but when I mix packing cubes and the backpack above, I’m easily able to pack for a four- to six-day trip, including heels and workout clothes, plus all my technology. I switched over from a laptop to the 2017 iPad Pro 10.5” earlier this year, and am so happy I did. This tablet is truly a dream to travel with, and while I’ve had to adjust a few specific workflows to accommodate iOS versus MacOS, the latest iOS11 is so versatile that it’s worth the initial learning curve. Clients are always blown away when they see how minimalist yet robust my “remote work” setup is. If you get the iPad, you’ve gotta get Apple Pencil. Period. Check out the Ridiculously Efficient newsletter for how I use my iPad + Pencil for creative purposes. I also love using it to take handwritten notes, sketch out ideas to share with my team, and just doodle. I was the kid who loved back-to-school shopping and especially getting a new pencil case. 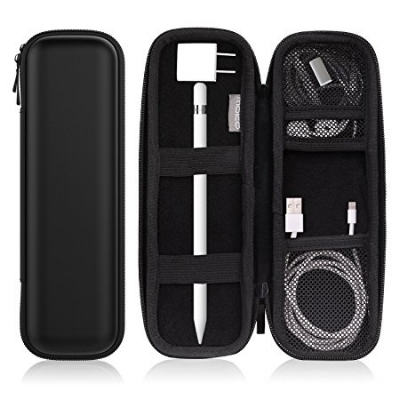 This one holds my Pencil, HDMI dongle, AirPods and case, charger, and USB to Lightning cable… and it’s small enough to fit in any purse (or the zippered upper portion of the backpack above). I always put two or three of these masks into my travel bag. After a hot shower (or a soak, if I’m lucky enough to get a spa bathtub in my room), these feel great on my skin. I live on this stuff, especially when traveling. The PQQ and CoQ10 give me focused energy, without the spikes and crashes of caffeine. I get it delivered from Bulletproof every two weeks, but no harm in trying it first on Amazon. See more of the products we currently love at our Ridiculously Efficient Amazon shop.